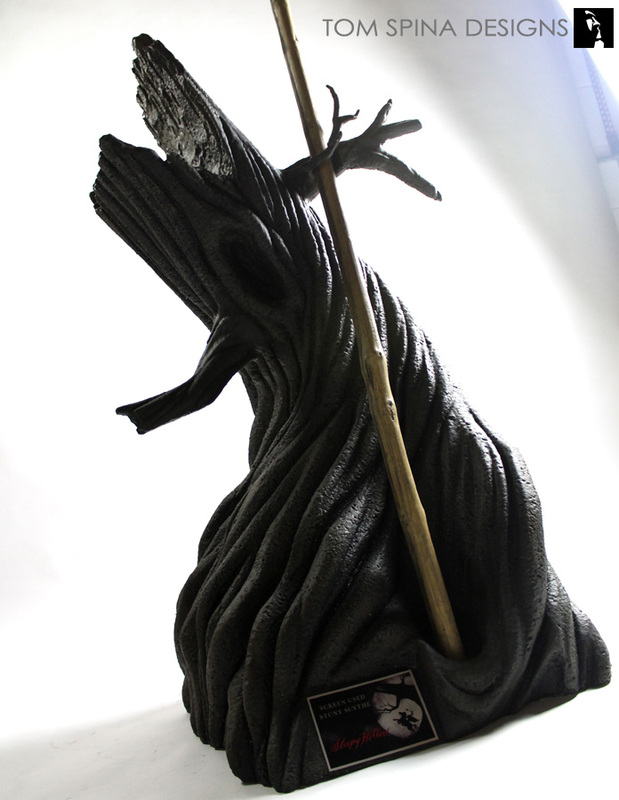 A custom carved foam display base for a original Sleepy Hollow movie prop. 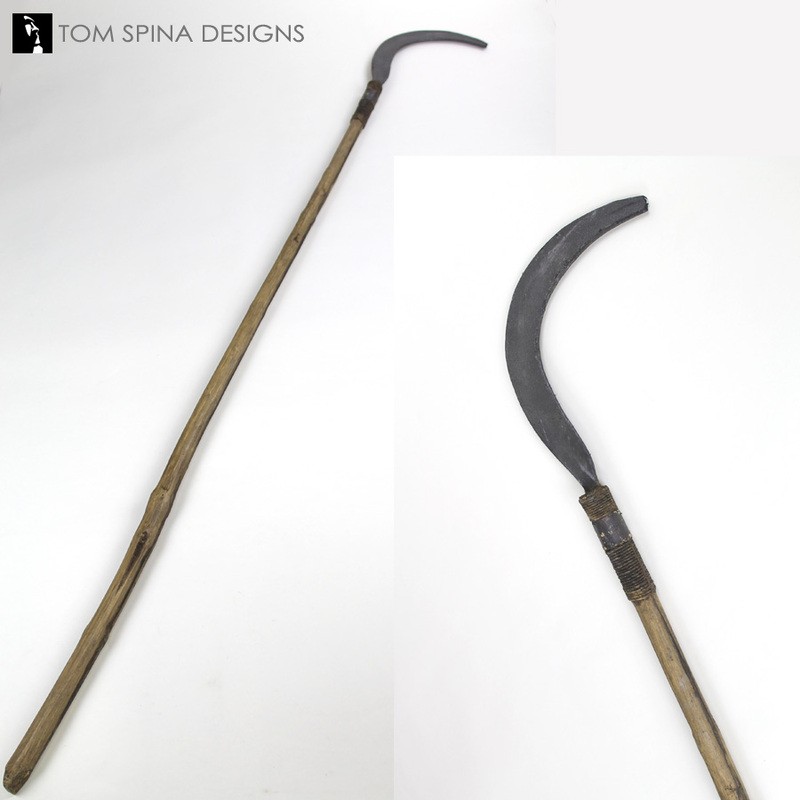 We created this foam interpretation of the tree featured in the Sleepy Hollow movie to hold a stunt scythe used in Tim Burton’s film about the legend of Ichabod Crane and the Headless Horseman. 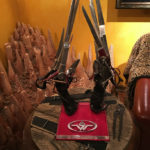 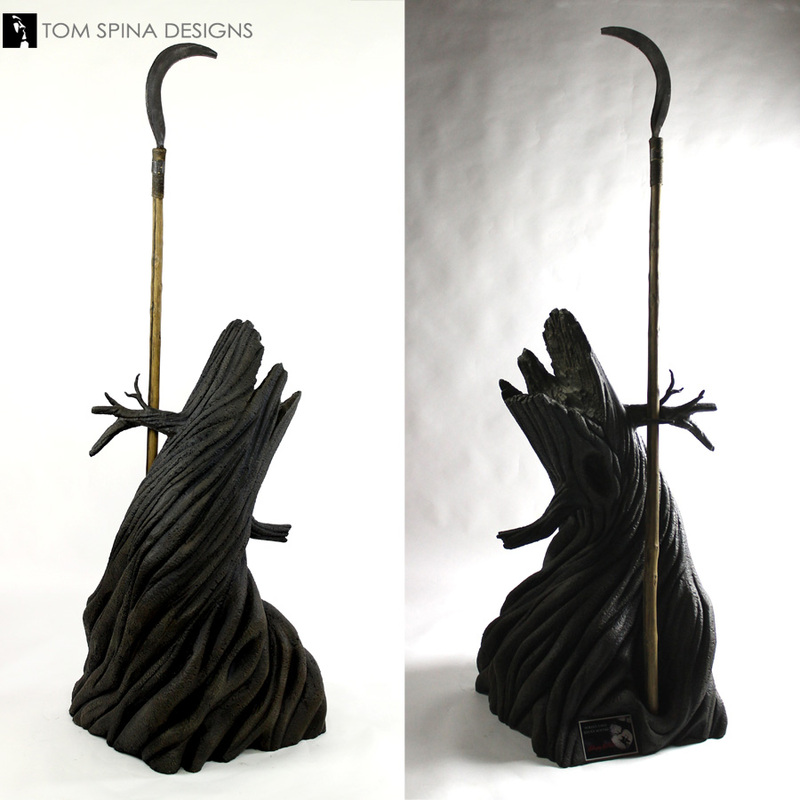 Our client wanted something unique to spotlight this slightly more challenging item to display and so we came up with the idea of using the iconic shape of the tree from the movie to create a one of a kind display as well as the perfect support for the prop scythe. 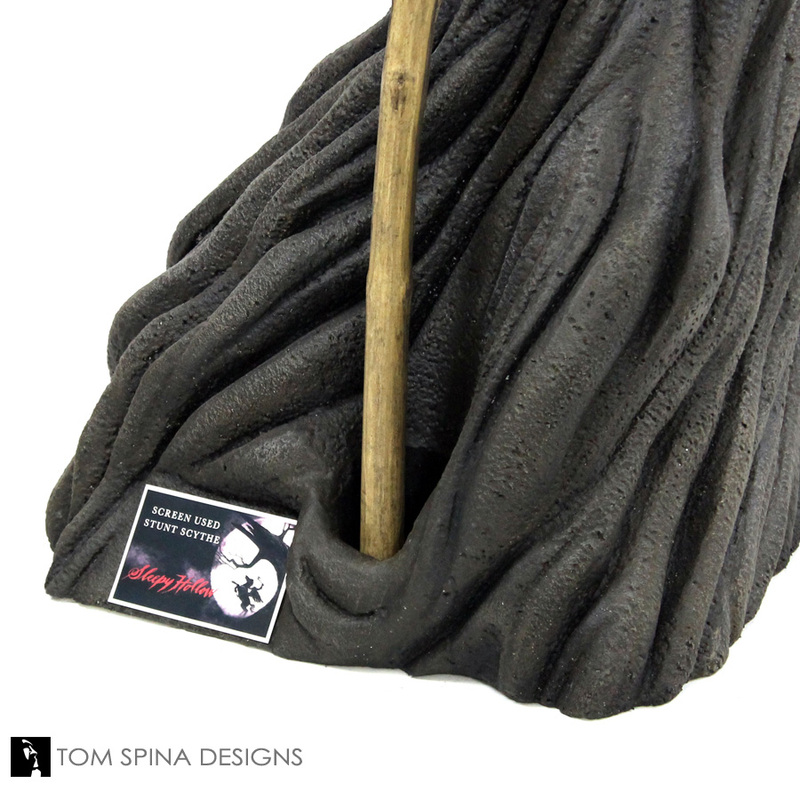 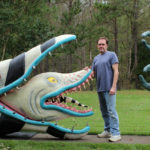 Our experience creating foam trade show props made this a great direction for us. 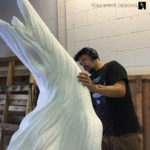 Lead artist on this project, Patrick Louie, began by sketching out the basic shape of the tree on a large block of EPS foam. 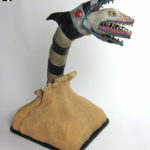 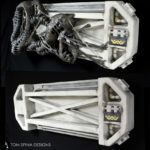 He then hand carved and sculpted the basic shapes, drawing inspiration from Tim Burton’s signature style. 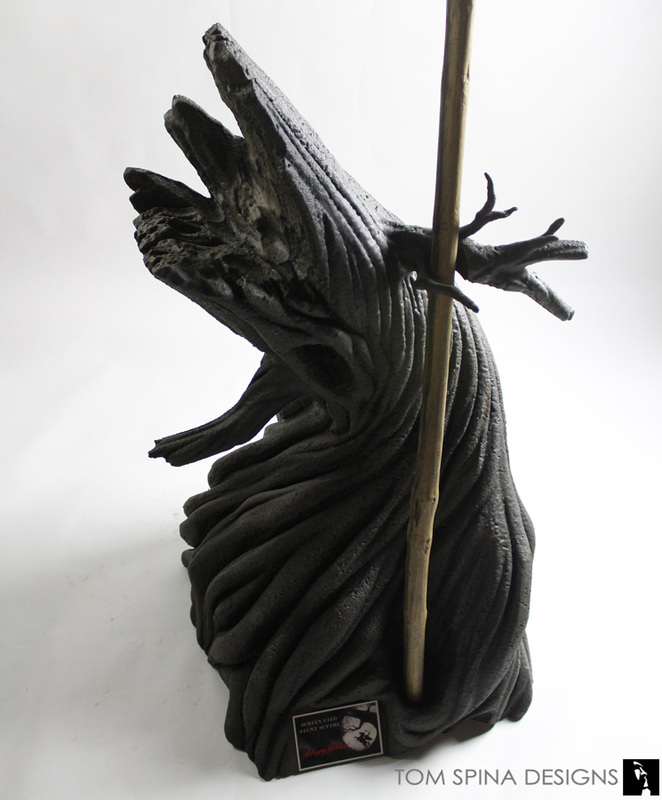 Pat created one of the branches not just to give the tree an interesting silhouette but it also had the job of helping to support the scythe movie prop. 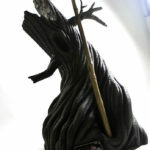 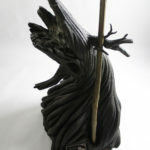 We used a stand in pipe to help ensure the sculpted branch would hold the prop at the correct angle. Once the foam sculpting was complete we gave the tree a hard coating, to give the EPS foam prop durability as well as some added texture. We wanted to keep the paint scheme fairly dark but not flat, so we layered several washes and dry brushes to create dimension. We also added felt padding to any of the places where the scythe would be touching the display to help protect the prop. 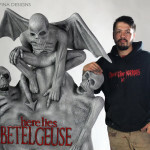 We finished off the display with a custom designed metal plaque.